The Tampa Bay Rays and the Toronto Blue Jays are now within a half game of each other in the American League East standings, though they've come from wildly different directions. The Rays (29-35) have lost nine of 10 games, including three of four in a weekend series with the Seattle Mariners. The Blue Jays (30-35) come into Tropicana Field with the momentum of a four-game sweep against the last-place Baltimore Orioles, who are a full 10 games back of both teams. The schedule is oddly stacked, such that the two division rivals have only played three times in the opening third of the season. They'll meet 12 times in August and September to make up for it, so this series can set the tone as both teams fight to get back to .500. The Rays lead the majors with 17 one-run losses, including all three losses to the Seattle Mariners this past weekend, the last coming Sunday on a play at the plate to end the game in frustrating fashion. "Everything's magnified, and that's the way the game ended, so it's super-magnified," said Rays third base coach Matt Quatraro, who sent Johnny Field to try to score the tying run in the ninth, only to see him thrown out at home by several steps. "I take responsibility for that call. It didn't end up being the right one. ... That was completely my decision." The Rays have scrambled to find starting pitching with several key players sidelined because of injuries, so much so that Monday's scheduled "opener," reliever Ryne Stanek, was needed to pitch the ninth inning Sunday. That means rookie LHP Ryan Yarbrough, who has lasted at least five innings in each of his previous seven appearances, will have the traditional start instead of jumping in after an "opener" reliever. Yarbrough pitched well in his only other outing against the Blue Jays, allowing one hit in five shutout innings of relief on May 4. Toronto counters with Sam Gaviglio, who is 2-1 with a 2.51 ERA while pitching for his third team in two seasons. He faced the Rays once last year, posting his second career win while holding the Rays to one run in five innings. He has pitched well of late, throwing seven shutout innings against the New York Yankees in his last start. 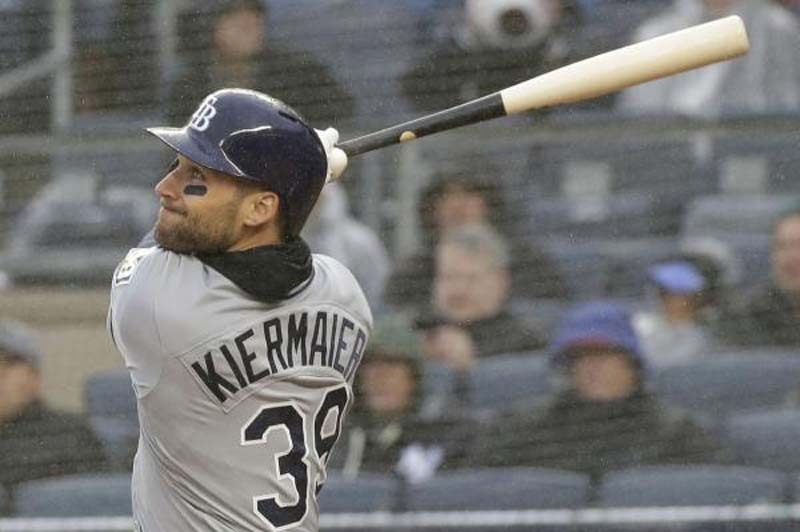 The Rays made one more move after Sunday's game, trading infielder Brad Miller to the Milwaukee Brewers in exchange for minor-league first baseman Ji-man Choi. Miller, who hit 30 home runs with the Rays in 2016, had struggled in each of the last two seasons as he transitioned to first base. His trade sets up rookie Jake Bauers, who made his major-league debut Friday, as the Rays' everyday first baseman. Choi will take his spot with Triple-A Durham. Choi, a 27-year-old from South Korea, is with his fourth major-league team in the past two seasons. He has a .191 career batting average and nine home runs in limited playing time with the Los Angeles Angels, Yankees and Brewers.